Adjusting to life as a world-famous cartoonist isn't easy. Terrifying deadlines, piles of junk-food wrappers under a glowing computer screen, and an ever-growing horde of pets....umm, never mind--it's pretty much the same. 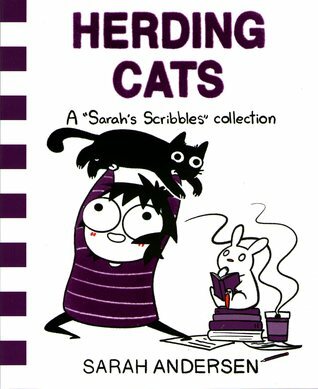 With characteristic wit and charm, Sarah Andersen's third collection of comics and illustrated personal essays offers a survival guide for frantic modern life: from the importance of avoiding morning people, to Internet troll defense 101, to the not-so-life-changing futility of tidying up. But when all else fails and the world around you is collapsing, make a hot chocolate, count the days until Halloween, and snuggle up next to your furry beacon of hope.